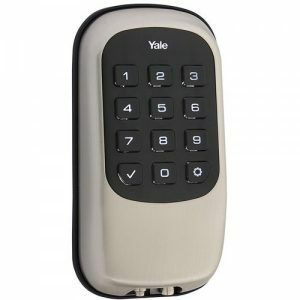 We offer a range of deadbolt options in nickel, bronze, and brass from manufacturers like Yale, Schlage, and Kwikset. A QEI Security & Technology smart door lock is controlled through the same app as your other z-wave smart home devices. Using just one app allows the devices to work together, so your lock provides more than just keyless access. When you lock up in the morning, your smart deadbolt lock can trigger your security system to arm, your garage door to close and your lights to turn off. It can even tell your smart thermostat to adjust, saving energy while you’re out. If you forget to lock the door and leave your neighborhood in Charleston, SC or elsewhere in the state, using our location-based automation, you can receive a notification on your phone asking if you’d like to lock the door remotely. When you give users unique four-digit codes, you can receive notifications that let you know when they unlock the door with their personal code. If your kids typically arrive home before you do, you can receive a push notification to your smartphone every day when they unlock the door. If your dog walker has their own code, you can learn when he/she is coming and going (or not coming at all). If you give a code to a contractor, you can add an expiration date so that the code stops working after the job is complete. Call us today to learn more about installing a keyless door lock in Charleston, SC or a surrounding area. Receive a notification when the door is unlocked so you know exactly when the kids get home from school – or when someone is out past their curfew. Set your door to unlock when the security system is disarmed. Program a home button that turns your porch lights on automatically when you remotely unlock your front door’s smart lock – a great feature on dark evenings when you’re loaded down with groceries.